The last few years it has been popular on Instagram to see what were your top 9 photos for the year. I joined in on the fun and the below are my most popular photos for 2017. 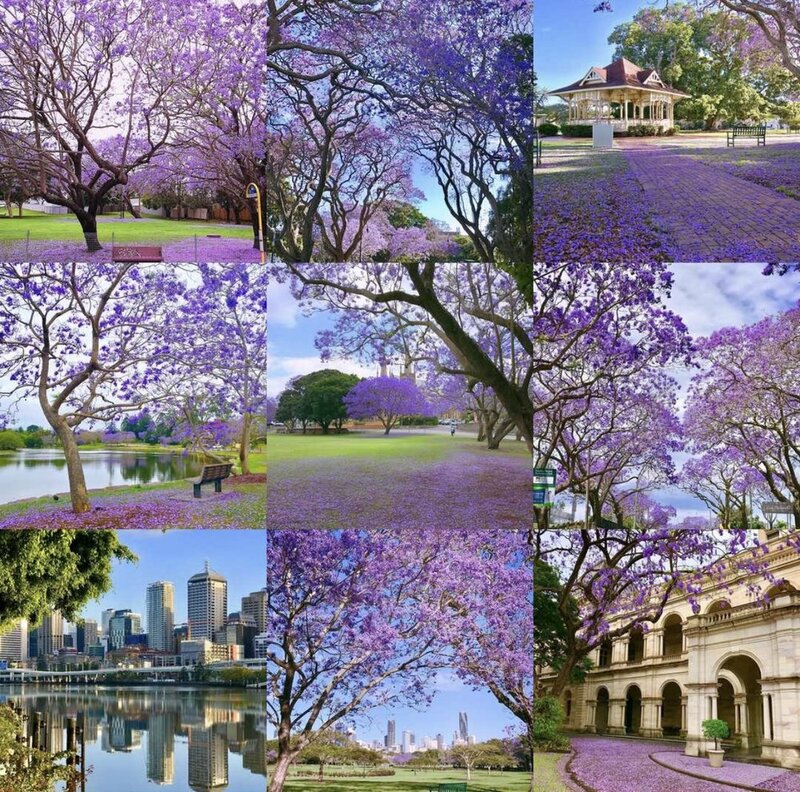 I was very surprised, when I entered my details into the program that creates your Top 9 photos, to see that 90% of my photos that made my most popular list where photos that I took during Jacaranda season in Brisbane or as I like to call it ... Bris-aranda season. There is so much colour and beauty in Bris-aranda at this amazing time of the year, Spring in Brisbane is truly magnificent. One of my Jacaranda photos even made the Top 9 list of award winning Brisbane blogger and author, Nikki Parkinson creator of Styling You. Visit Nikki's website here and Instagram account here. I'm looking forward to Bris-aranda season in 2018 and to see what beautiful photo opportunities I will be able to capture ... stay tuned.